Looks like a quartz. Very pretty. Kitchen bench - can you please tell me what the name of this stone is. Hi, can you tell me where you got the pendant light. Thanks. Kitchen inspiration 2 Chings term: symmetry This kitchen design is a great representation of a modern design including the clean sharp edges. 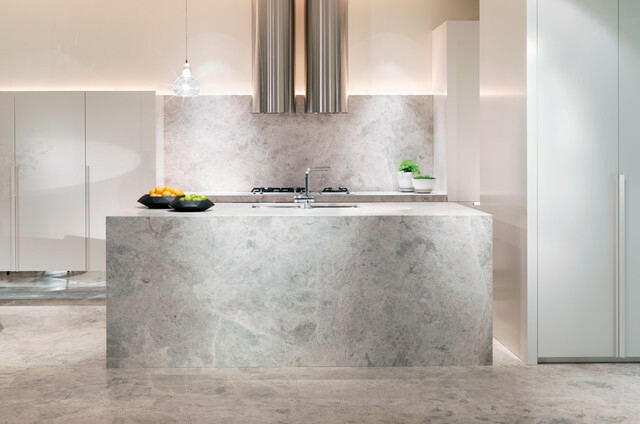 The stone material for the countertop also brings in the earthy tones. Mom will hate me for lack of storage but this stoney look is bae ! !